The global market for patient temperature management is expected to experience unprecedented demand over the course of the next few years. This primarily owes to the quest of the healthcare industry to attain excellence in treatment of patients. The government has been making high amounts of investment in the healthcare sector, which has driven demand within the global market for patient temperature management. Moreover, a number of diseases require continual management of temperature in order to ensure that the adverse effects of the disease are not amplified. In recent times, the incidence of chronic diseases has risen by leaps and bounds which also contributes to the global demand for management of temperatures across healthcare units. The technological advancements in the healthcare sector have led to the development of several new devices and treatment therapies. Better intravascular systems have emerged in the healthcare industry, thus, easing the task of temperature management. Henceforth, the demand within the global market for patient temperature management is projected to expand at an astral rate over the coming years. The government and the healthcare industry have collectively launched numerous conferences for physicians and are running awareness campaigns to help people understand patient temperature management systems. Another important factor that is projected to reap positive results for the global market is the tremendous increase in research funding. The prominence of the healthcare industry and favorable reimbursement policies for patients in US are expected to contribute to market growth in North America. Some of the key players in the market are 3M Company, Medtronic plc, Smiths Medical, and C.R. Bard Inc. The global market for patient temperature management is anticipated to emerge as a key resort for the healthcare industry over the coming years. The development of better technology across the medical and healthcare industries has accentuated the market on a global scale. Furthermore, nascent advancements in surgeries to cure a wide array of disorder and diseases have also necessitated the need to have better management of body temperatures of patients. The types of products within the market can be broadly categorized as patient warming systems and patient cooling systems. Each segment within the product type category is equally relevant for the healthcare industry that has now adopted temperature managements systems to effectuate better care of patients. An important consideration for market growth is the rising awareness amongst the medical practitioners about the latest technologies for managing patient temperature. Intravascular systems have transcended as an important development for the healthcare industry, and have propelled demand within the global market for patient temperature management. International workshops and conferences aimed at fine-tuning the skills and prowess of physicians and medical practitioners have generated a sense of awareness about the products available in the market. As information about temperature management systems spills across different regional longitudes, the market is expected to surge ahead in the coming years. Furthermore, the instance of chronic diseases has also increased the number of treatments mechanisms being carried out across healthcare centers. Thus, the need for normalizing temperatures of patients after invasive treatments or surgeries has created tremendous demand within the market. The prevalence of several types of cancers has particular been instrumental in driving market growth. The growth of the geriatric population is bound to increase the obligations of the healthcare industry. Since a major patient base of hospitals comprises of the geriatric population, the market gets a prominent boost from a rise in this section of the population. Avoiding severe conditions such as surgical site infection and preoperative hypothermia necessitates the need to manage patient temperature. This is also an important standpoint for market growth. Moreover, during chemo and radiation therapies, temperature warming systems are used for effective execution. Despite this seemingly affluent nature of the market, the high cost of temperature management systems is expected to hamper market growth. To counter this restrain, the introduction of modern temperature management systems especially in the developed countries could bring prosperity for the market. The global market for patient temperature management is anticipated to be led by North America over the coming years. 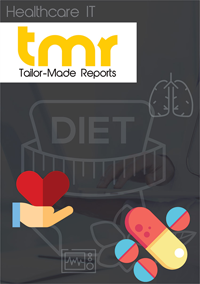 The recent rise in the geriatric population of the region coupled with the availability of advanced technologies is expected to propel market growth. In Europe, medical tourism has emerged as a visible trend which has dispelled information across several countries about patient temperature management systems. Asia Pacific, Latin America, and the Middle East and Africa are also expected to trace an escalating trajectory of growth. Some of the key vendors in the global market for patient temperature management are 3M Company, Cincinnati Sub-Zero Products, Inc., ZOLL Medical Corporation, C.R. Bard Inc., DRÄGERWERK AG & CO. KGAA, The 37Company, and Medtronic plc. These players are expected to engage in research and development in order to attain prominence across the global market.